In the meantime cheaters are on the road in almost every match, reporting is absolutely worthless. 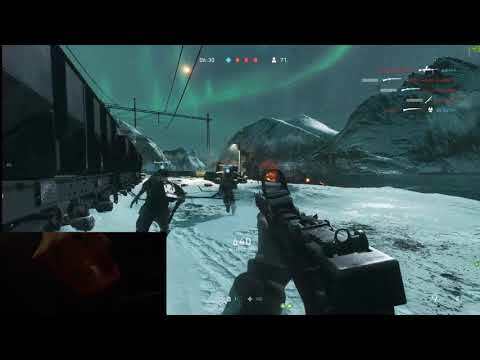 Bugs, company coins and tides of war I do not care as long as cheaters are in nearly every match. Even the absolutely unequivocal obvious cheaters are not banned. 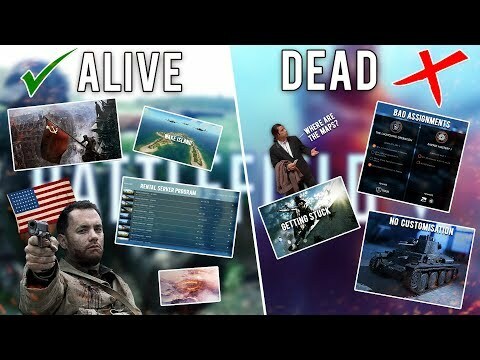 Hello Dice / EA anybody there? TBH, since Frostbite engine is out, there are cheats existing, which get never banned. Every yearly release got eaten by cheaters now beginning at early BETA phase. These cheaters slap all others in face and you let them be. The only answer from you is how to report, after masses of reports nothing happen, except that more and more players starts cheating. So you give up the fight and maybe you sell the cheats for your self? If not, it does not make any difference. You do not spend any reasonable resources to fix the annoying bugs, bugs you can find in every release and very annoing new one, you do not care about community, you do NOTHING against cheaters since Frostbite exists, you are for real the worst company forever!!! I hope you will get your end with biggest pain like your game is after every release for customers. Yeah, it is pretty bad now. RIP EA, you guys are going to run yourselves into the ground. It is coming, slowly but surely. The lack of banning cheaters is just aweful. I follow some guys game reports - as i have reported them for cheating - and nothing is done and they still are allowed to play. Common........ its obivious the guy is cheating and so many have reported him - but if they dont ban the blatant cheaters like this one............ jesus. I've noticed that, "The night, is a hackers delight!" I'm slowly, but surely, getting better at this game but! I can surley tell when the cheaters like coming out! Why might you ask? I tend to wake up at 1:00PM, and then go to bed around 4:00AM. Daytime, you have a better chance of not facing as many cheaters. Night time, you might as well accept it... You're probably going to be facing a lot more cheaters. Why do they chose this time? Just like the old Counter Strike days, there aren't as many players to report the cheaters. I'm going to relax to some netflix, amazon, and some other stuff. I'll be back later on today. Good night/morning everyone. As long as people will just complain, but keep buying the product because they like it anyway. The bad sales numbers is probably because the lack of new content.. Please post a screenshot of the supposed muzzle Flash. Before posting the video, I went frame by frame several times looking for something like muzzle Flash that would cause him to make such a precise shot through the smoke. Additionally, I did not say that Jack was cheating. I asked for clarification. You have not provided any clarification. Please watch the video again frame by frame. Yeah there is no flash there, he just looks into the smoke and takes two "lucky" shots in there. It is kind of odd. Also, he was not spamming fire through the smoke in hopes of getting lucky. The shots that were placed were extremely calculated.